The most important question you need to answer in your website marketing strategy is “Who am I selling to?” The “who” is your target market. Think of them as the group you’re willing to spend money and time on to get their business. It’s important to understand that even if your services or products can benefit many types of individuals, it is a lot easier to focus your marketing efforts when you have a target audience in mind. In order to do that successfully, you’ll need to know who you’re talking to, what problems they have and what benefits are they seeking. Tip: Don’t skip this step. 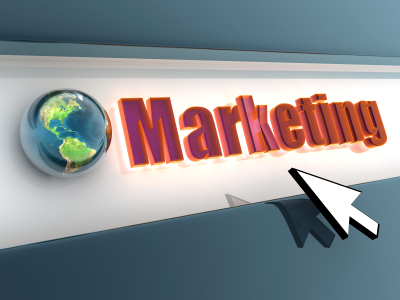 It’s an integral part of any website marketing strategy. Once you’ve identified your target market, learn the words they use to describe the problems they’re having or the benefits their seeking. With this information you’ll be able to “speak their language” in your website content. You’ll also be creating a connection with your audience when you use terms that connect with them. Research shows that most buyers use the internet to search for information before they buy. If your website doesn’t provide information to help your visitors in their buying decision they’re most likely to leave without contacting you. But if you have an understanding of your target audience you can provide targeted information that speaks to their concerns. My favorite quote is from the department store, SYMS whose slogan is “An educated consumer is our best customer.” Apply this philosophy to your website marketing strategy and you’ll start to see how easy it becomes to get qualified leads that convert into a sale. Tip: Educate your clients through Blogs, Special Reports, Mini Courses, Free Teleclasses/Webinars and Articles. Use these tools to get qualified leads on your mailing list or at least coming back to your website so that you can continue to market them. Tip: Besure to use an email or blog service that allows you to track if your email subscribers click on any links in your email. Aweber, MailChimp are just a few of the e-zine management services out there that include statistics like this.